In April-2012, Jaguar had announced that its XJ Ultimate will be hit our roads by late-2012. 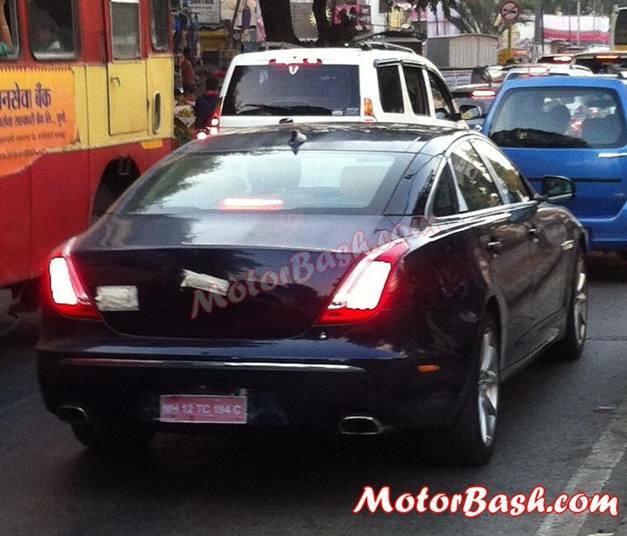 The company has so far not launched the XJ Ultimate in India, but now a MotorBash reader named Rishabh Chopda has shared the snaps of the super luxury XJ Ultimate, which he spotted at Aundh in Pune. Rishabh says, the car had ‘On Test batch 2’ written at the driver side window glass. Designed especially for customers who desire quality and power, comfort and luxury, the Ultimate XJ will have individually adjustable rear seats with motorized foldable tables, specially designed section for housing champagne bucket and flutes, iPads with keyboards on the backs of front sears and an exclusive 15 channel surround sound audio system with 20 speakers specifically made for XJ Ultimate by Meridian. The XJ Ultimate is powered by Jaguar flagship 5.0L V8 supercharged petrol engine; the sturdy and high on efficiency level 3.0L V6 turbocharged diesel engine and an all new 3.0L V6 supercharged petrol unit, all driving rear wheels through an eight speed transmission. Riding high on the luxury front, Ultimate XJ will be available in Black Amethyst. Seats will be in premium leather – adjustable with lumbar support with massage function and climate controls. Ultimate XJ will live upto the company’s reputation of luxury, comfort and opulence and with its all aluminum architecture it will also project a highly efficient and dynamic engine to complete the overall picture. 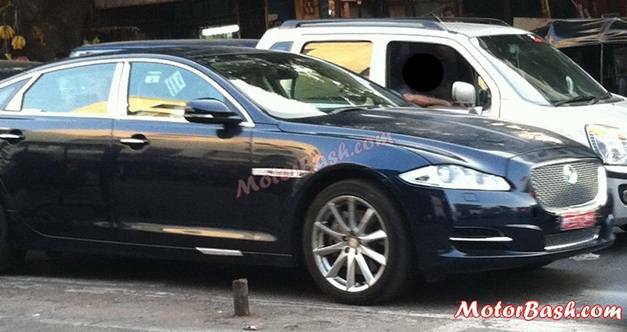 Looking at spy pictures, the car looks production ready, therefore, we can expect it to be launched sometime in early-2013 with price tag of slightly lesser than Rs. 2 Crore.